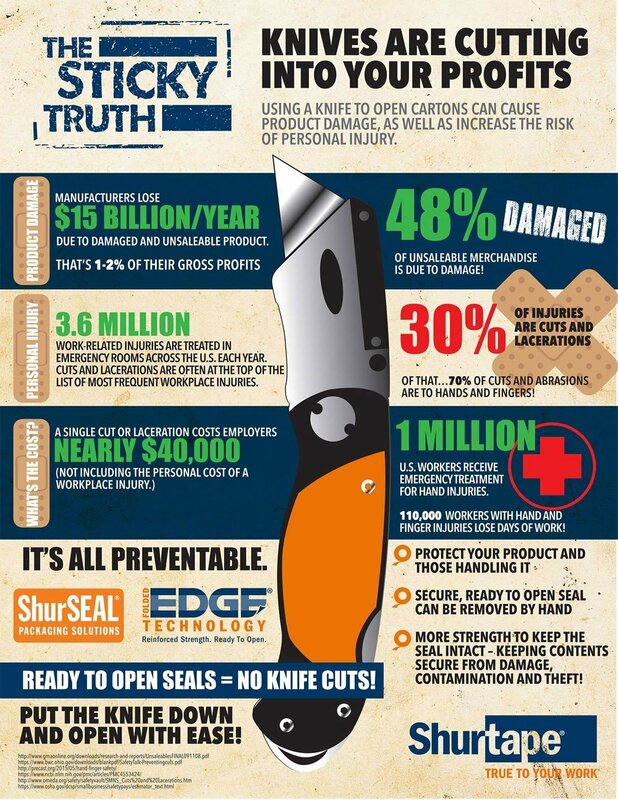 Did you know…using a knife to open cartons can lead to product damage, as well as increase the risk of personal injury? That’s why we offer Folded-Edge Technology with ShurSEAL. Folded-Edge Technology folds the edges of the packaging tape as it’s applied, resulting in a case seal that can be grasped and removed by hand. The benefit? No knife, which means there’s less risk to products and people.